Alvaro Villagran is a Program Manager at the Shared-Use Mobility Center. He provides expertise and technical assistance to six transit agencies developing innovative mobility on demand pilot projects through the Federal Transit Administration´s On-Ramp Program. Alvaro is an international transportation planner and historian. Born and raised in Buenos Aires, Argentina, he lived and traveled around several countries, and resides in Chicago, IL. 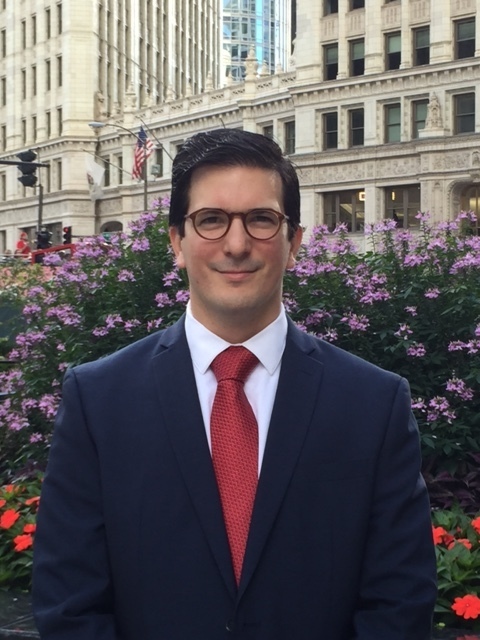 Alvaro holds a Master in Urban Planning and Public Policy from the University of Illinois at Chicago, and a Master in History from Northwestern University. Since 2016, Alvaro has been involved with the YPT-Chicago Chapter serving as Chair for Programs, Deputy Chair, and Chair. In his free time, he enjoys biking, kayaking, reading while riding the el., cooking, and traveling.